Trade with compensation credits is a prime example of how abstractions influence environmental policy. The astonishing reduction of unique habitats to a few measurable indicators is a prerequisite for trading biodiversity offsets. The main instrument in combatting climate change, emissions trading, is only feasible because complex interrelationships and political and economic interests are made invisible by the abstraction that metric thinking brings to climate policy. Furthermore, the equivalence expressed in CO2e allows the emissions of different greenhouse gases (one ton of methane is regarded as equivalent to 25 tons of carbon dioxide) to be brought into the same calculation, thus rendering invisible the wide range of climate and environmental impacts of different greenhouse gases that cannot be expressed in CO2 equivalents. In their publication Carbon Metrics, Camila Moreno, Lili Fuhr and Daniel Speich Chassé explain how abstractions – calories, kilometers, kilos, and now tons of CO2e and habitat equivalents – influence, and even dominate, modern environmental policy. The apparent objectivity suggested by the numbers obscures historical contexts, unbalanced power relationships and subjective decisions. Trade with compensation credits is a prime example of how abstractions influence environmental policy today. The astonishing reduction of unique habitats to a few measurable indicators is a prerequisite for trading biodiversity offsets. The central unit of measure for trading in carbon credits is one ton of carbon dioxide (CO2). The Intergovernmental Panel on Climate Change (IPCC) has established conversion factors for various other greenhouse gases. Such factors are necessary because greenhouse gases differ in their impact on the climate. The panel nevertheless needed to make it possible to make equivalent trades for different gases. The IPCC has established that preventing the release of one ton of methane is equivalent to a reduction of 25 tons of CO2 (i.e. the IPCC deems one ton of methane to have the same climate impact as 25 tons of CO2 over a period of 100 years; a different period of time would have resulted in a different conversion factor). Once accepted, this conversion formula allows the compensation of CO2 emissions by reducing methane emissions. Similar CO2 equivalents have been set for other greenhouse gases. The article The Endless Algebra of Climate Markets vividly describes how the perpetrators of the climate crisis profit from the abstraction of CO2 equivalents and use them to obfuscate their responsibility. Conversion factors are also being devised for compensation through biodiversity credits, despite the fact that even proponents of the economic valuation of nature criticize their shortcomings. 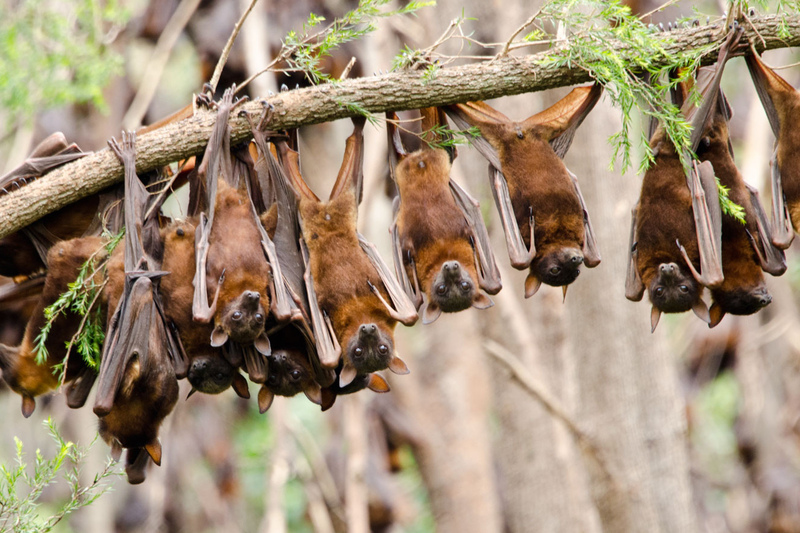 Equivalences are being made, for example, between one hectare of land that is highly suited as bat habitat and larger areas of medium or low quality bat habitat. In other cases, plant or animal species are designated as markers for intact wetlands that qualify certain areas as compensation for the draining of a different wetland. If the conversion factor is recognized by the responsible authorities, habitats of rare species or intact wetlands can be destroyed as long as a correspondingly larger area of medium or low quality habitat elsewhere is protected. Former British environment secretary Owen Paterson followed this logic in 2014 when he argued that one million newly planted trees could offset the destruction of a 400-year-old forest "with far fewer trees". Such equivalence calculations generally only compare a few ecological characteristics of habitats, mostly lists of species. Many ecological functions, as well as local economic, social, cultural and spiritual ties to the habitat will always be disregarded by the principle of compensation credits – and irreplaceably lost in the destruction of the habitat. Moreno, C., D. Speich Chassé and L. Fuhr (2015): Carbon Metrics. Global abstractions and ecological epistemicide. Fuhr, L., C. Moreno and D. Speich Chassée (2016): Beyond Paris: avoiding the trap of carbon metrics. Lohmann, L. (2011): The Endless Algebra of Climate Markets. Louise Carver (2015): Measuring the value of what? An ethnographic account of the transformation of ‘Nature’ under the DEFRA biodiversity offsetting metric. LCSV Working Paper Series No. 11. Leverhulme Centre for the Study of Value. Robertson, M. (2006): The Nature that capital can see: science, state and market in the commodification of ecosystem services. Environment and Planning D: Society and Space. Vol. 24: 367-387. Monbiot, G. (2014): Reframing the Planet.